To discover on which extent of the scale-out backup repository a particular backup file is stored, you can examine the job session statistics or check the backup properties. In the inventory pane, click Backup under Jobs. In the working area, right-click the job and select Statistics. In the bottom left pane of the window, click the VM name. In the Action pane, locate the message: Using N scale-out repository extent. In the working area, right-click the backup and select Properties. 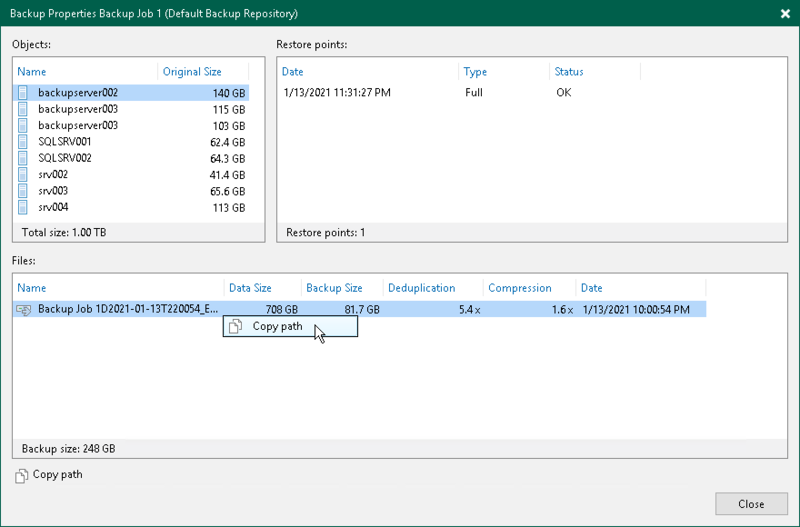 In the Backup Properties window, click the backup file and check the Repository field at the top left corner of the window. 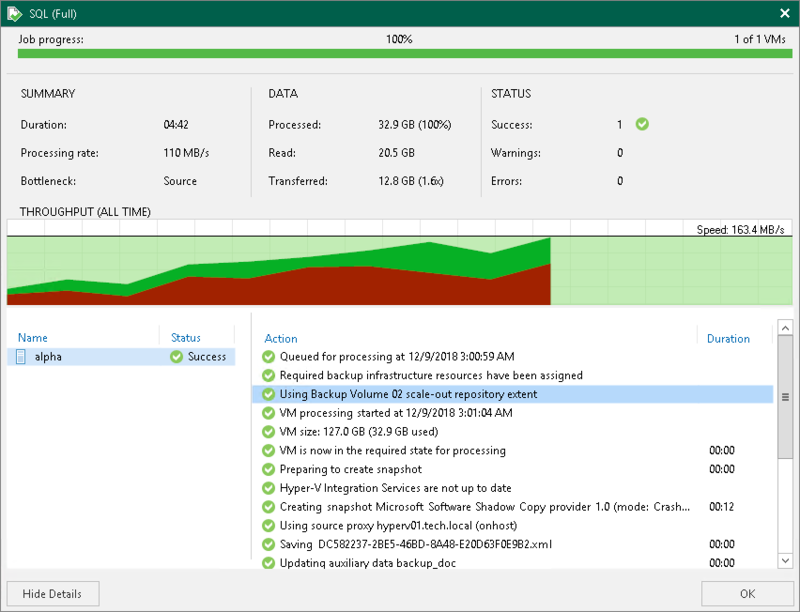 Veeam Backup & Replication will display on which extent the backup file resides.